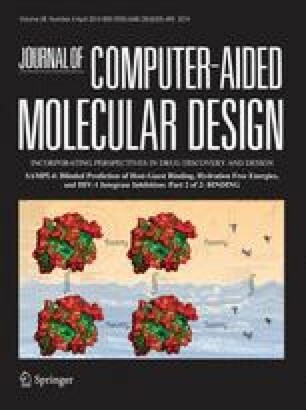 The SAMPL challenges provide an ideal opportunity for unbiased evaluation and comparison of different approaches used in computational drug design. During the fourth round of this SAMPL challenge, we participated in the virtual screening and binding pose prediction on inhibitors targeting the HIV-1 integrase enzyme. For virtual screening, we used well known and widely used in silico methods combined with personal in cerebro insights and experience. Regular docking only performed slightly better than random selection, but the performance was significantly improved upon incorporation of additional filters based on pharmacophore queries and electrostatic similarities. The best performance was achieved when logical selection was added. For the pose prediction, we utilized a similar consensus approach that amalgamated the results of the Glide-XP docking with structural knowledge and rescoring. The pose prediction results revealed that docking displayed reasonable performance in predicting the binding poses. However, prediction performance can be improved utilizing scientific experience and rescoring approaches. In both the virtual screening and pose prediction challenges, the top performance was achieved by our approaches. Here we describe the methods and strategies used in our approaches and discuss the rationale of their performances. Arnout R. D. Voet and Ashutosh Kumar have contributed equally to this work. We thank RIKEN Integrated Cluster of Clusters (RICC) at RIKEN for the supercomputing resources used for this study. We are grateful to Dr. David Mobley and SAMPL4 participants for sharing the SAMPL4 challenge analyses and prediction data prior to publication. We acknowledge the Initiative Research Unit program from RIKEN, Japan for funding. AV acknowledges the JSPS for a postdoctoral fellowship. Prof. Jeremy Tame is acknowledged for proofreading the manuscript.